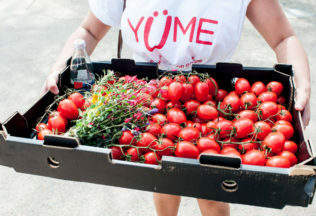 ANTI-FOOD-WASTE company Yume provides an online marketplace connecting food suppliers with buyers, enabling them to list and sell their surplus products at a discount. Basically it connects manufacturers, primary producers and importers with industrial caterers, wholesalers, manufacturers, hotels, event centres and other food service businesses. The two-year-old company will be featured next month on television’s ABC War on Waste, focusing on Yume’s role in tackling food waste. The episode on August 7 will follow a live deal on the Yume platform. A consignment of Mondelez cream cheese is sold via Yume to a dip manufacturer and traders at Melbourne’s Queen Victoria Markets. Food services, catering and facilities management company, Sodexo Australia, last week announced it will buy food and produce from Yume and use it at Sodexo sites across the country. So far Sodexo has purchased 9920 kilograms of food from Yume, including 500kg of Australian feta cheese, more than five tonnes of crushed tomatoes, and a range of poultry products including coated chicken fillets and southern style chicken portions. Yume’s founder and CEO Katy Barfield says the company recently helped an Australian company left stranded with 27 tonnes of yellow-fin tuna after a large supermarket cancelled their order at the last minute. “Via the Yume platform the supplier was able to find a buyer. We’re urgently calling for all food manufacturers and primary producers to join Yume, so that we can help prevent this food, which takes time, money and valuable resources to grow, pick, pack and distribute, from going to waste,” Ms Barfield said. The Yume marketplace is operational Australia-wide and has buyers in New Zealand and Europe. It is estimated that a massive 3.9 million tonnes of food goes to waste annually in the commercial sector in Australia. Though fellow food waste warriors at OzHarvest, in their Look, Buy, Store, Cook campaign, say consumers are the greatest wasters of food, more than supermarkets, restaurants, manufacturers and farms combined. Back at Yume though they are working on the commercial sector. 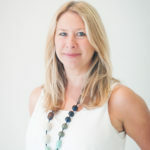 Its founder and CEO Katy Barfield says food rescue organisations collect and re-distribute approximately 44,300 tonnes of surplus food per annum. “This is just 2 per cent of the total commercial and industrial food waste in Australia,” Ms Barfield says. “A scalable and economical model is needed if we are to tackle the food waste mountain in front of us. It’s still early days but all signs are positive. “To date, Yume has returned $1.4 million back to Australian farmers and manufacturers and prevented over 300,000kg of top quality products from going to waste. Domino’s Australia has added oven-baked sandwiches to its menu.